The aim of the conversation lessons is for intermediate and advanced learners of Spanish to improve their conversational skills. The most important skill that you need when visiting a foreign country is the ability to speak the language, therefore, as well as studying grammar, learning new vocabulary, reading Spanish books, listening to Spanish news, watching films and so on, it is vital you spend time putting all that you have learnt into practice. Maybe you need a little extra speaking practice before a GCSE, AS or A2 oral exam, or would like to brush up your existing skills leading up to a holiday or business trip in a Spanish-speaking country. Whatever your reason, these classes are an ideal opportunity to improve your spoken Spanish. Spanish learners will benefit and make fast progress from spending just a few minutes speaking Spanish regularly. In our busy everyday lives it is not always easy to find the time to do this or to find someone to chat with in Spanish. 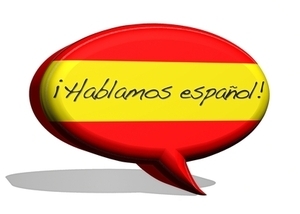 How do Spanish conversation lessons work? A wide variety of topics may be covered during the conversation class, available by arrangement with the Spanish tutor to suit individual needs and interests. This means learners stay interested and motivated to improve their Spanish conversational skills. Your tutor may supply you with materials to discuss before the lesson on any topic you request or simply allow your tutor to choose. This may be a magazine or newspaper article, an audio file, an interview or a podcast. You may also be assigned follow-up exercises or new vocabulary to learn to retain the language you have just learnt or to work towards improving more problematic areas or weaknesses. What will I gain from Spanish conversation lessons? One-to-one attention from a qualified Spanish tutor. An ideal opportunity to ask an experienced tutor about any difficulties or queries to do with the language. Interesting materials on topics suited to your particular interests and goals. Constant feedback and advice helping you to improve quickly and easily. Follow-up exercises on weaker or problematic areas. Click here or call us today to book your first Spanish conversation class! If we do not have a local tutor who you can meet with face-to-face, you may be interested in connecting with your very own Spanish tutor with Online Spanish lessons via Skype. We also offer face-to-face and online conversation classes in French, Italian, German, Portuguese and Chinese. Improve your Spanish conversational skills today!